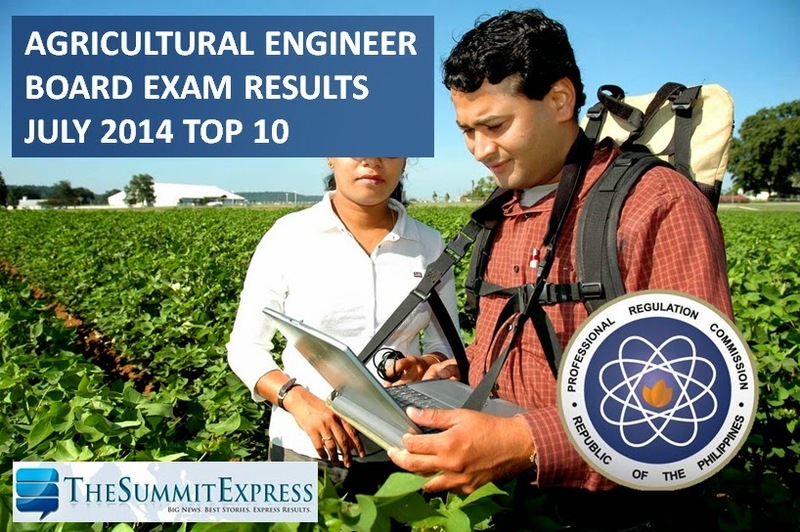 The Professional Regulation Commission (PRC) released on Monday, July 7, 2014 the results of July 2014 Agricultural Engineer board exam. Jonathan Acero Flores of Cavite State University (VavSU) topped the board with 83.66 average grade. Von Jansen Gatulayao Comedia of University of the Philippines- Los Banos (UPLB) placed second with 82.99 average grade. 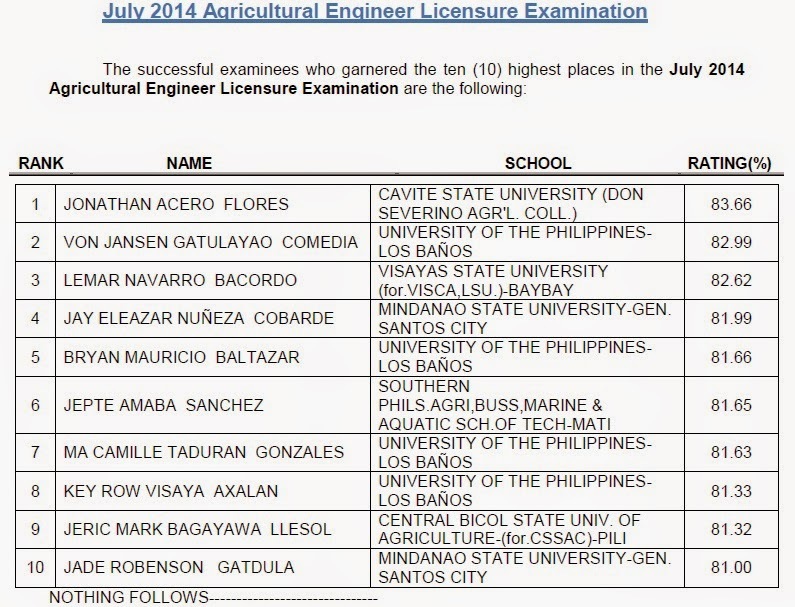 Lemar Navarro Bacordo of Visayas State University-Baybay ranked third with 82.62 percent grade.